There are many prime options for buying cannabis seeds online, shopping online at cannabis seed seedbanks can be done safe and secure. Many cannabis seed seedbanks ship offer worldwide shipping, so whether you’re in the USA, Canada, Germany, Spain, France, Italy, or anywhere else, you can count on having pot seeds being available for shipment to your county. Make sure to check your country’s laws and regulations before making a cannabis seed purchase online. Read our short, top best guide to choosing and purchasing marijuana seeds online. 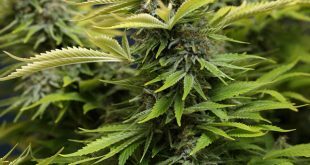 With a plethora of cannabis varieties to choose from, the common consumer is faced with a monumental task at hand – what kind of marijuana strain should I grow? What strain will perform well in my environment? How many seeds should I get? First off, when purchasing seeds it is integral to select a trusted seed company to place your growing faith in. 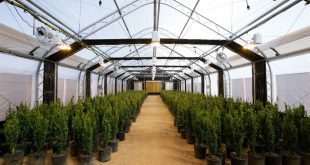 Seed companies with a good reputation stand by their products, and offer superior cannabis genetics at a relatively low price for the consumer. Next is picking the right kind of seed strain for your climate. While the most fruity-flavored, dank bud available may appeal to you – think twice. Do some research on the seed strains genetic traits, and learn as much as you can about the cannabis variety. For many cold-climate home-growers, selecting weed seeds that will finish their flowering cycle before winter is a must. 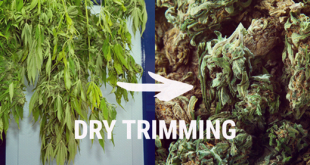 Also take into account the weed strains hardiness if you are growing marijuana outdoors. Ask yourself: Will this strain handle my growing climate? Is this strain prone to bud mold (botrytis) or powdery mildew problems? Will this seed strain be able to finish flowering where I plan to grow? Don’t forget to pick the right amount of seeds that you need to grow. Cannabis seeds come in all sizes – with single pot seeds available to purchase, packs of 3 seeds, 5 seeds, 10 seeds and bulk options for bigger seed operations. Take into account that weed seeds sold online are either regular or feminized. 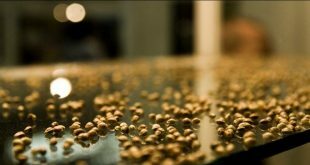 Regular seed will produce male and female cannabis plants when germinated, while feminized seed will produce virtually all female cannabis plants. There is a large debate when it comes to regular seed vs. feminized seed/autoflower seeds, let’s try to break it down fundamentally. The advantages of feminized seed are being secure in knowing that your plant is going to be a budding female. For medical marijuana licensed cultivators with plant limits, this is essential. 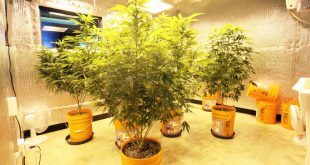 Imagine you are only allowed to have 7 cannabis plants in your state at your home. You crack 7 seeds and 4 come out male, after a month of constant care. You would undoubted feel a little disappointed, unless you are planning on breeding cannabis seeds. Most people are looking for seedless female marijuana buds AKA sensimilla, and this requires growing only female weed plants. Now the benefits of regular seed are obvious nature. Regular seed is more stable, and has less of a chance of hermaphroditic traits. There is also a personal feeling or ‘rightness’ that goes along with using regular cannabis seeds. Truly this is how the marijuana intended to reproduce in nature. If you are looking to grow cannabis indoors or outdoors, autoflower/autoflowing cannabis seeds have taken the modern indoor and outdoor weed cultivation culture by storm! What autoflowing seeds do is simple. The do not respond the length of light given to them, and as such they flower on their own genetic time-cycle, unlike normal marijuana genetics, that are photosensitive (respond to light hours). This opens up a whole realm of possibilities for home-growers who have access to constant 24 hour light. Imagine flowing a fat budded beauty under a HID light for 24 full hours non-stop daily – pretty sweet huh? Although autoflowering seeds and strains are of a lower potency, many strains sampled personally give quite the pleasurable effect when used. Now you know a little more about what to consider to buy cannabis marijuana seeds online, good luck!